The Uffizi Gallery in Florence, Italy taps the Virtual World Heritage Laboratory to digitize its entire collection. With 3D technology, art galleries can extend cultural lifespan and offer unlimited access to priceless antiquities. 3D representations provide uprecedented access and longevitity to cultural artifacts. 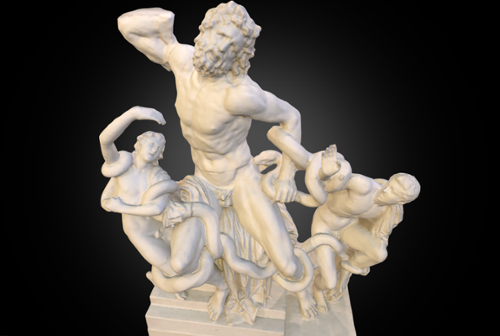 Virtual World Heritage Laboratory commisioned to digitize entire Uffizi Gallery. Collaboration will also educate students in digtial preservation techniques. Rome Reborn. A fly-through of a reconstructed Rome with animations. Rome Reborn is an international initiative to create a 3D digital model of the ancient city as it might have appeared in A.D. 320. Courtesy Bernard Frischer. Shelley’s poem Ozymandias reminds us time is a fickle Mistress, and that none of our monuments will remain. If Shelley had the Virtual World Heritage Laboratory (VWHL), perhaps he'd have written a different poem. The VWHL applies 3D technologies to heritage preservation. Digital preservation is a powerful method for documenting cultures, placing them beyond the reaches of war and disaster. Virtual maintenance offers several advantages, such as the ability to view items either too remote or too fragile to examine. Interactive 3D technologies also offer the end user an experience that corresponds with the real physical nature of the objects documented. This faithful replication allows an unlimited number of views so that the user gets just the information desired. “Virtual heritage makes it easy for students, scholars, and the general public to visit many museums and archaeological sites around the world at no cost and from the comfort of their own home or schoolroom,” says Bernard Frischer, director of the VWHL. Hadrian's Villa. A 3D model of a World Heritage site near Tivoli, Italy as it would have appeared at the end of Hadrian's life (AD 76-138). The Virtual World Heritage Laboratory was recently commisioned to digitize the Uffizi Gallery's catalog of 1,250 ancient sculptures. Courtesy Bernard Frischer. What’s more, 3D representation makes it possible to develop reconstruction hypotheses that would be too expensive and perhaps physically impossible in the real world, Frischer notes. 3D technology also allows for empirical study of history, because once an accurate 3D reconstruction model is developed, scholars can test various aspects of an object or space, he says. The successes of the VWHL are easy to spot. For instance, their Atzompa project is one of the world’s largest 3D models. Replicating a 500 meter x 500 meter area, this model documents the ongoing work at the archaeological site just outside of Oaxaca City. Probably the best example of the VWHL’s ability to communicate with digital tools is their website about Hadrian's Villa, the World Heritage site outside of Rome near Tivoli. An unparalleled source, this portal includes an interactive 3D reconstruction of many of the principal buildings and a database of all the works of art found there. These successes and many more attracted the attention of the Uffizi Gallery, in Florence, Italy. Consisting of works collected by the Medici family between the 15th and 18th centuries, the Uffizi gallery holds some of the most prized artifacts from antiquity, such as the Venus de’ Medici. In a cooperative agreement with Indiana University, Uffizi recently commissioned the VWHL to preserve its 1,250 ancient sculptures. “It would be nearly impossible to overstate the cultural and educational impact of this inventive collaboration,” says Michael A. McRobbie, president of Indiana University. 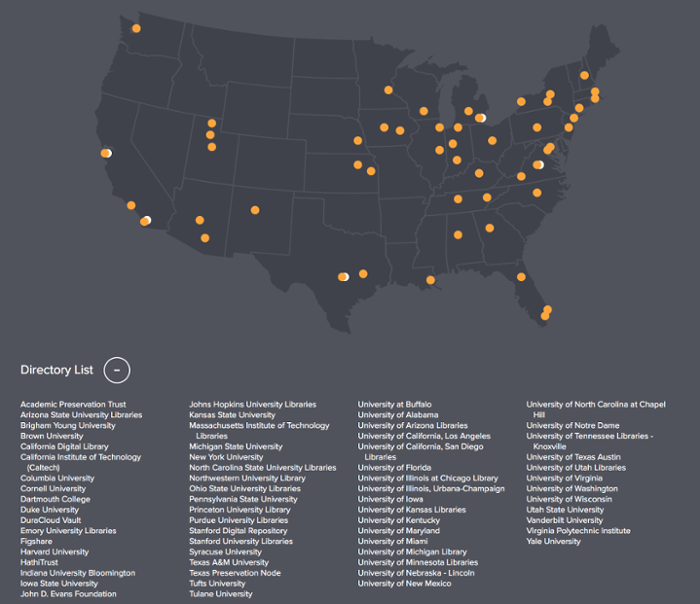 In addition to preserving the museum’s catalog, the five-year project will train informatics and art history students in the techniques of digital modeling and interactive online publication. Digitizing these sculptures is possible today thanks to advances in photogrammetry. This digital photographic technique involves taking a series of overlapping photographs and then adding extra shots to gather important fine details such as the face or fingers. Depending on the size, each sculpture can generate up to 20 GB of raw data – nearly 25 TB of raw data for the entire Uffizi gallery. No one has attempted to digitize a collection of this size before. Since the museum is only available to the VWHL team one day a week (when the museum is closed to the public), Frischer’s team has to work quickly and efficiently. The interactive models will be published on the Italian Ministry of Culture's internal conservation database, the Uffizi's public website, and the VWHL’s publicly available Digital Sculpture Project. For heritage preservationists to improve their ability to share their catalogs, virtual and augmented reality experiences are the areas for immediate innovation, Frischer indicates. He also expects photogrammetry will improve the ability to document smaller and smaller scales, so that coins and gems can be handled by a virtual visitor. Though it may be true that, like Ozymandias, our proudest accomplishments await their final rest in the sands of time, it is also true the future brings the promise of exhilarating potential along with it. Unrelenting change and uncertainty are certainly here to stay, but with the advent of the digital era, we may have found the tools to stay the hands of time.